Personal injury law can be daunting. Let an experienced personal injury lawyer help you navigate the law so you can focus on healing. We help people with bad accidents and personal injury claims. Speak to a compassionate lawyer about your motor vehicle accident or other injury claim, so we can help you take meaningful steps to securing compensation. We are available to talk any time and can meet when is convenient for you. A bad car accident, bicycle accident, or motorcycle accident can turn your life upside down. The financial stress alone can be too much to handle. Hospital bills, ambulance rides, and ongoing medical appointments can take their toll. Then the real work begins. Often there is physical therapy, chiropractor visits, acupuncture and more. It pays to have helpful personal injury attorney to do the heavy lifting on the legal side, so you can take care of your recovery. Having the peace of mind that a professional injury lawyer is taking care of your claim can help reduce some of the stress. Our talented and skilled legal team draw on a wealth of resources to help maximize your recovery. Whether you need case experts, investigators, medical referrals or more, we can help you get better and gain compensation for your pain and suffering and medical expenses. Some injuries never fully heal. In those cases, we can help you recover enough money to pay for ongoing care for the indefinite future. The last thing you need to worry about when you are trying to heal is how you’re going to afford medical treatment 5, 10, or 20 years down the road. If your medical condition requires ongoing care, we can help negotiate a settlement that will take care of you for years to come. A compassionate personal injury attorney isn’t thinking about short-term gains, but rather your long term needs. We can help make sure the insurance adjusters also share our concerns and compensate you appropriately. We will educate them on your entire story, so they feel obligated to make things right and not simply worry about the bottom line. Where necessary, we will also fight for your case all the way to trial so you get a fair shot from a jury of your peers. If you have questions or want to discuss your options, call today to schedule a no-obligations consultation with a local motor vehicle accident attorney. We can help you understand your obligations, rights, and options. If you are too injured to travel, we can come to you. What makes us better? Our willingness to work harder than the next guy. Vancouver Washington is where our office is, but we can drive to Spokane, Seattle, Bellingham and more if that is where your case is. We can travel and meet virtually to make things as easy as possible for you. You have a lot of choices when it comes to hiring a personal injury attorney, so we work hard to differentiate ourselves from the competition. Call today to schedule an in-person or telephonic consultation with a trustworthy injury attorney who can offer a consultation free of charge. Bottom line, we want to work for you. Attorney Priest’s former experience in criminal prosecution and criminal defense practice help us fully investigate your case and leave no stone unturned when it comes to presenting a case that is both complete and compelling. The top reason to give us a call is that we can take the mystery out of the process and build a case that is convincing and strong. When looking for a personal injury attorney, know that we will champion your cause, work hard to gather the necessary evidence and negotiate from a strong understanding of the laws written to protect your rights. Unsure? Check out our reviews from past clients to help understand how much client satisfaction means to us. 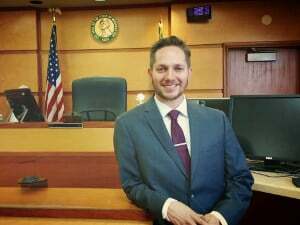 If You Have Been Injured In An Accident In Clark County or Vancouver WA, Time Is Of The Essence! Maybe you know a little already about personal injury cases already. Even so, the process and the law can get complicated quickly. Most people simply know that you can sue someone whose fault it is that they injure you. Great! But what can you do with that information. How do you sue them? Do you even have to sue them? Where do you even begin? If you have these questions, then let’s take a quick 101 look at a personal injury claim. Personal injury cases include any legal dispute when one person suffers harm from an accident or injury for which someone else is legally responsible. This personal injury case can be settled informally via negotiation following a demand letter. It can be arbitrated or even mediated. It can also go to court and potentially even to trial and appeal. 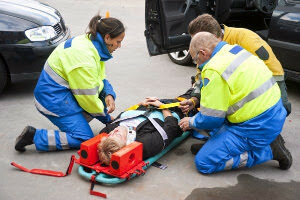 Personal injury cases come in a variety of forms. Perhaps you were injured in a car accident. Maybe you slipped and fell on someone else’s property. Maybe you were attacked by a dog. Maybe you or a loved one was injured by poor nursing home care. Maybe you were injured in a variety of other ways. The fact is that you never know whether you might be entitled to fair compensation unless you talk to an experienced personal injury lawyer. A motor vehicle accident attorney can help you understand the nuances of insurance laws and obligations. Differing types of insurance coverage are triggered by different types of cases and injuries. Luckily, you don’t have to go it alone and can rely on an injury lawyer to help you make sense of it all. We take all kinds of cases and help all types of people. Whether your case is large or small, we can help you recover in more ways than one. If you’ve been harmed by another in an accident, you need to hire the best car accident attorney you can find. 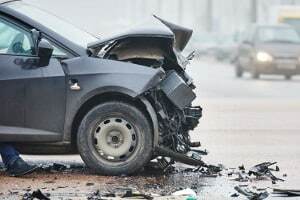 We take motor vehicle accident cases across Washington State and will work tirelessly to make sure you get treated fairly by the insurance company. Personal injury law can be daunting, so we can help you understand the process and help you secure peace of mind and fair compensation in your case. It is never too early to rely on an experienced attorney to help you with your claim. Not only will you be able to focus on getting better, but we can help you employ a sound strategy to maximize your settlement. Having the help of a seasoned trial attorney will make sure your personal injury claim is taken seriously. We offer a free consultation to discuss your claim and can take cases on contingency, so we only make money if we can make you money on your claim. We help you every step of the way and pride ourselves on always having time to talk to clients. Weekends, evenings, holidays? We are here for you. Call today. It never hurts to call and talk with an injury attorney about your motor vehicle accident or other personal injury case. We can help explain the law regarding liability, damages, insurance, and torts so better understand what your legal rights are with regards to your injury case. If you were injured by the negligence (failure of due care) of another person, we can make sure that their carelessness doesn’t leave you with the short end of the stick. If you suffer harm or damages as a result of another person’s negligence, call us to discuss how we can help. If need be, we can help you file a lawsuit where negotiations fail. We can help you stave off mounting medical bills and even reduce those bills once your case is finalized and settled. Without consulting a Vancouver WA personal injury attorney, you may never know how much money you might be leaving on the table. If you think you might have a case, call us or keep reading on our website to figure out what we can do for you. An injured party or their personal injury lawyer can start a lawsuit by filing a personal injury complaint in either federal or state court. By filing a formal complaint and paying the court filing fees, the process of formal personal injury litigation begins. The personal injury complaint must allege facts sufficient to show that the court has jurisdiction and that venue is proper. It must also allege facts constituting both liability and damages. The complaint is then filed on the defendant who must answer the complaint. Once the parties have “discovered” all of the evidence they may need, they may each hire expert witnesses, investigators, and prepare for trial. Often, cases settle at this stage of the proceeding, once everyone has laid their cards on the table. A few cases ultimately go to trial when the parties cannot agree on a personal injury lawsuit settlement. At trial, the injured party plaintiff must prove to a jury that they were injured, that the other person was at fault for the injury, and must then prove how much personal damage they suffered in terms of dollars. If this seems like a daunting task, start with your thumb. How much would you accept right now in cold hard cash for the loss of your thumb if it were up to you to decide what was fair. I doubt anyone of you would voluntarily give up your thumb if someone asked to buy it. However, if you lost your thumb and it was legally someone else’s fault, you would have to start thinking hard about how much you would demand to be paid in exchange. Perhaps you are a mechanic. You might have to switch careers without a thumb. Perhaps you love to play golf. You will have to find a new hobby. Every bag of groceries you pick up until the end of your days will require additional care and worry that you never had to contend with before. You can see that it becomes very difficult to put a dollar figure on that kind of loss. At trial, you must convince a jury that the dollar figure for which you are asking is a fair dollar figure. Juries don’t write blank checks and, in fact, sometimes feel bad for the liable party. They won’t get to consider at trial whether the other person has insurance that will pick up the tab. Because of this, juries sometimes feel that giving a large judgement to the plaintiff will effectively bankrupt the other party. Getting a jury to follow the law and stick the defendant with a hefty personal injury judgment can be hard work. In most personal injury cases, the parties settle out-of-court and early. The reason is that most people have insurance and the insurance company both has a duty to protect their insured and keep their costs low. Therefore, insurance companies will often offer the bare minimum and only agree to more when motivated by pressure. Because the first offer is often low, it rarely pays to accept the first offer. Offers are typically even lower for people who try to deal with the insurance company on their own. Your injury claim is only as valuable as you can convince the insurance company or a jury that it is. This is why most people hire a professional personal injury lawyer and negotiator to try to maximize their settlement. Settlement talks can be slow, so it is always important to remember the statute of limitations for your personal injury claim. A statute of limitations is the legally prescribed deadline by which you must file a personal injury lawsuit or forego all legal rights to recovery. Most personal injury cases have a 3 year deadline from the date of injury before the suit must be filed or forfeited. However, every case is different, so it pays to talk to a personal injury attorney.